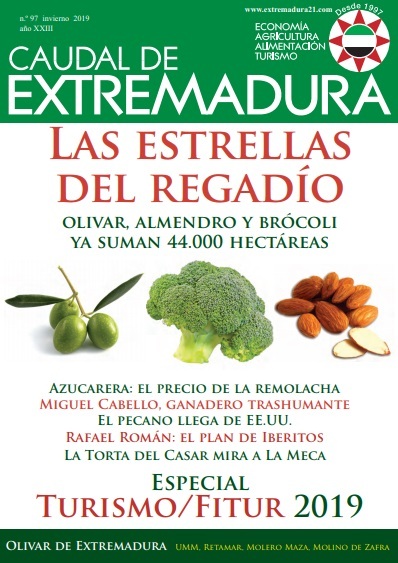 The new article of CAUDAL DE EXTREMADURA magazine has as its central question the alternative crops that are becoming the new stars of irrigation. 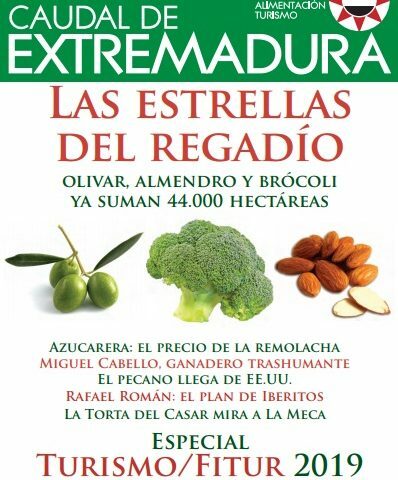 The intensive olive grove, as well as the almond tree, and other complementary and thriving crops, such as broccoli, start to be more traditional ones such as rice and corn. The nuts, the vegetables for export and frozen, and new fruits such as persimmon, pomegranate or fresh figs, take, increasingly, new prominence in our fields.